Prominent & Leading Distributor from Hyderabad, we offer galvanized steel pipe, gi pipe for greenhouse and 3/4 inch galvanized pipes. 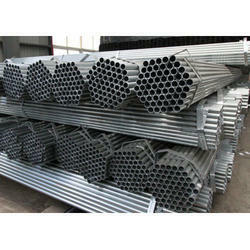 We have gained expertise in offering best grade Galvanized Steel Pipe. Offered steel pipes are procured from the most reliable vendors of the industry who manufacture these steel pipes by making use of galvanized steel with the assistance of professionals. Along with this, our vendors make use of modern machinery and latest technology in the manufacturing of these steel pipes so as to ensure their fine finishing and precise design. We are one of the prominent organizations engaged in offering a wide range of Galvanized Iron Pipes. 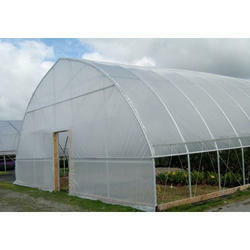 These pipe are extensively used for Green House Application. GI Pipes are manufactured as per the International & Indian standards and norms using high-grade raw material and advanced technology at vendor's base. Moreover, the offered GI Pipes are tested on various parameters so as to ensure their strong construction and durability. We are a well-known organization, which is engaged in offering a wide range of 3/4 Inch Galvanized Pipes. 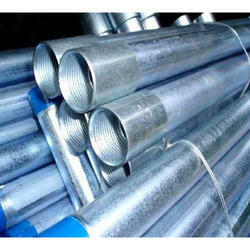 These galvanized pipes are manufactured as per using superior quality steel and advanced machines at vendor's base. Moreover, we offer these pipes in various sizes and specifications that help in serving our clients in the best possible manner. Looking for Galvanized Pipes ?